For quite awhile we’ve embraced and advocated for the new age of digital music delivery technologies, home theater surround sound systems, and quality audio components. But frankly, sometimes these devices are not even delivering the performance and quality levels that we enjoyed when listening to vinyl and CDs on vintage home stereos. Sometimes we feel like marriage counselors here at PAC-NJ, northern New Jersey’s source for home theater equipment, service, and advice. Couples come in shopping for audio-video components, but often one spouse objects to the way the equipment looks, or worries that the high-tech gear clashes with the rest of the décor. In our last blog we talked about mirrored design solutions that can make flat screen HD TVs disappear, and home theater speakers designed for placement behind walls. Well, your stack of audio video components and other can also do a disappearing act, so you can enjoy your system without having to look at the gear that drives it. “I bought a new, state-of-the-art flat screen HD TV, but the sound quality is like something out of the 1960s.” That’s a comment we hear from lots of people here at PAC NJ, northern New Jersey’s center for home theater equipment and advice. These people want to know why slim, new HD TVs have such poor sound quality, and if there is anything they can do about it. We recently addressed the topic of HDMI – High-Definition Multimedia Interface – and explained why this single-cable technology is more than just another pretty abbreviation. We’re getting more and more questions about HDMI audio video technology here at PAC-NJ, northern New Jersey’s source for home theatre systems and services, so let me share with you some of what we tell customers. The debate is on: if you want the best home theater, should you have a dedicated, purpose designed room for your audio video system, or a multi-purpose home entertainment room that doubles as a family room, den, or even breakfast nook? I addressed pros and cons of multipurpose rooms in my last blog, so let’s talk about dedicated rooms. Call this Part Two of “Why you should install your home theater during construction or renovation of a home, and not after.” I was blogging about this topic recently, and want to give you some additional reasons to consider if you’re building or renovating a home and trying to decide when call in a professional home theater installer. How Do I connect my new iPod to my home music system? Congratulations – you finally broke down and bought an iPod. Now you’re wondering, “How do I connect it to my home stereo or audio video setup?” I’ll tell you the simple way, and also a better way to get hooked up with your iPod. 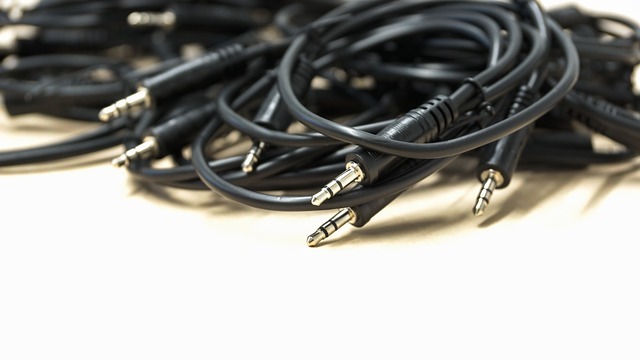 First, here’s the simple way: Go to Radio Shack and buy a connecting cable that has a stereo mini phone plug on one end to jack into your iPod, and a pair of RCA phono plugs on the other end to plug into your audio video system. Plug the mini phone plug into the iPod and connect the RCA phono plugs to the aux or tape input jacks on the rear panel of your home stereo receiver or amplifier. The white plug goes into the left input, and the red plug goes into the right input – Just remember, red is right. That's it. Now select the proper input – the music you want to hear - for your home stereo system from the iPod and adjust the volume. You’re done. What is HDMI and Do We Need It? Today’s home entertainment enthusiasts and audiophiles have a fantastic selection of home theater and home stereo equipment to choose from that can really enhance the experience of watching movies or listening to music. But getting these audio video components to operate as they’re designed to do isn’t always so easy. Here at PAC-NJ, we’re often called in by customers to help tweak home theater set ups and home stereo systems when their do-it-yourself efforts have gone wrong. We’ve seen many common errors, so I’d like to offer observations on some common DIY mistakes. A lot of them fall into three broad categories: cabling, power management, and control – that is, remote control - issues. Here’s some advice about each. 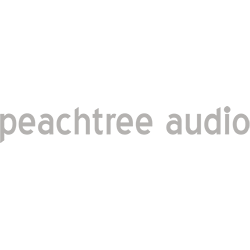 We recently blogged about the performance characteristics of great home theater and home stereo systems. Now for the big enchilada: How do you combine the two? Here’s the advice we give our customers that are looking for home theater integration at PAC-NJ, the source for high-end home entertainment systems in northern New Jersey. Are you the kind of home entertainment consumer who wants it all – a great home theater and a great home stereo? We recently posted a blog about creating a great home theater system, and now I want to share the advice we give customers in northern New Jersey here at PAC-NJ on the performance characteristics you need for a great home audio system. Some people are into home theaters, some people are more into home stereos, and some people want it all – both a great home theater experience that includes fantastic audio reproduction capability, and a home stereo system with the fidelity of a live symphonic concert or jazz club performance. We see all three types here at PAC-NJ, northern New Jersey’s source for high quality home entertainment systems. So how do you get both? Like we tell our clients, you need to know how to design great audio into a home theater equipment selection, and which equipment choices make a great home stereo and audio system. Here’s what you should know about each. You’re building a house or renovating your existing home. Now is the time to design and install a home theater – don’t wait until construction is completed. That’s the advice we give to our customers at PAC-NJ in northern New Jersey. Of course they ask why, and we have plenty of reasons to offer. First of all, during construction you can create and install a truly customized home theater design because an audio video specialist can collaborate with you and your architect. Floor and ceiling plans can be designed to accommodate the placement of the home theater speaker system for their best integration and performance. For your components, millwork and built-in custom home theater cabinets can be designed to properly house flat screen TVs and a/v components. Thanks to open wall construction, you will have almost complete flexibility in where to locate wall mounted controls such as keypads and touch screens, and you can select the perfect location for each. Whether you live in a two-bedroom condo or a six-bedroom 12,000 square foot home, a custom designed home entertainment system or home theater will have a positive impact on your daily life. Our customers here in New Jersey tell us having convenient access to their favorite music and movies is game changer. You can easily create your own home audio video system with proper planning and expertise.